Full gallery from the high speed sandy stages of Rally Poland. Which ended in dramatic fashion after Ott Tanak, who led since Day 1 and was looking to claim his first ever WRC victory, caught a heart breaking puncture on the penultimate stage. Dropping valuable time and ending an emotional weekend in 2nd place. 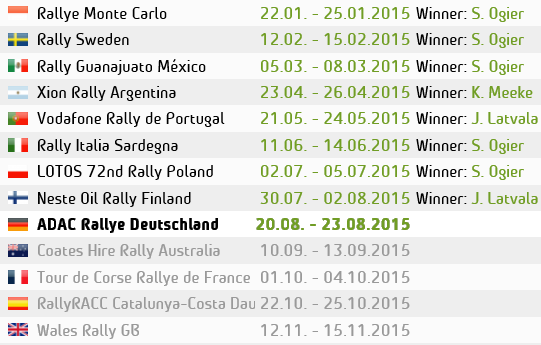 But gave Andreas Mikkelsen his second WRC win. Making him the 6th different driver to win in the first 7 Rallies of the 2016 season. This entry was posted in Photos, WRC and tagged Photography, Poland, rally, Sport, Travel, WRC. Bookmark the permalink.